The award-winning Billing Aquadrome Holiday Park is a busy hub of activity, attracting more than one million visitors each year. Located in the Nene Valley, near to Northampton, the 235- acre park is owned by Pure Leisure Group, which operates nine holiday lodge and caravan parks in the southern Lake District, Northamptonshire and East Anglia. The park boasts 1,707 pitches for camping, touring and motorhomes, of which 1,508 are nonelectric and 199 are electric. There are also 35 super pitches which provide waste and water facilities with PAYGO electric. The pod village has 16 pods and there is also 60 holiday homes, which are a mixture of static caravans and luxury lodges. The large picturesque marina is one of Billing Aquadrome’s finest features. 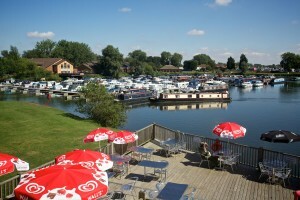 Situated on the River Nene, it has 180 berths – all of which are secured on floating pontoons for the nautically minded.